Members of the ttff team often visit other international film festivals—presenting Caribbean films, looking for content to screen at our Festival, and seeking new opportunities for regional filmmakers. Here you can keep track of what we’re getting up to around the globe. Bruce Paddington’s documentary Forward Ever: The Killing of a Revolution was an official selection at the first Cayman Islands International Film Festival. It was one of almost 200 films that were screened at the festival, of which 30 were from the Cayman Islands. Paddington, Founder and Festival Director of the trinidad+tobago film festival, attended CayFilm along with 150 filmmakers and industry guests. The festival included a red carpet opening along with two days of screenings, panel discussions and workshops on such subjects as screenwriting, special effects and use of music in films; these sessions were mainly conducted by award-winning Hollywood professionals. CayFilm was recently welcomed as the latest member of the Caribbean Association of Film Festivals. 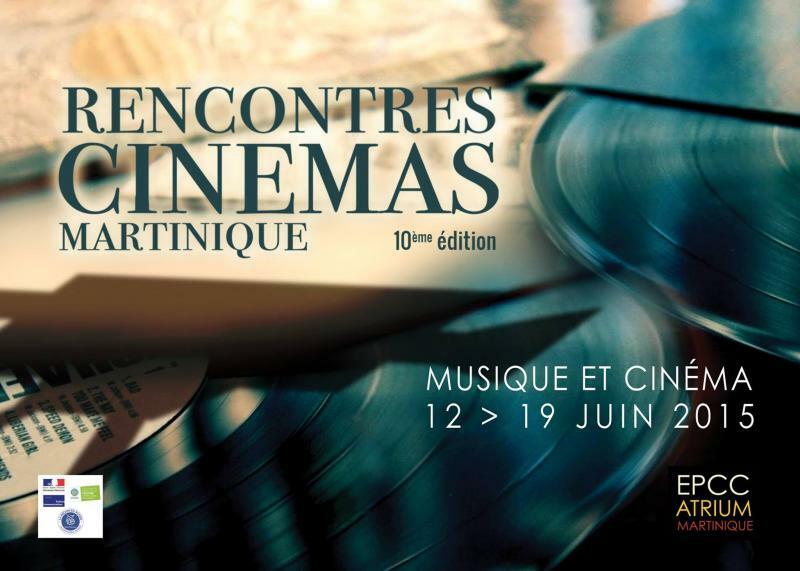 For the second consecutive year, the tttff was invited to present films during the week-long Rencontres Cinémas Martinique, a film festival of international and Caribbean films held in Martinique in the second week of June. The selections Dubois (winner of the best T&T short fiction film at ttff/14) and Conducta (best fiction feature film, ttff/14) were screened to a large audience in Fort-de-France, and roundly applauded at the end. A meeting of the Caribbean Association of Film Festivals (CAFF) also took place at Rencontres Cinémas, with representatives from some of the major film festivals in the region in attendance. Also visiting was a representative from the Toulouse film festival in France, seeking to build closer ties with festivals in the Caribbean. The CAFF, founded in 2013, seeks to provide marketing and promoting activities to Caribbean and diaspora-based film festivals and to become an information hub for Caribbean films and festivals. The trinidad+tobago film festival (ttff) was present this year at the most important film festival in the world, the 68th Festival de Cannes, on the south coast of France. 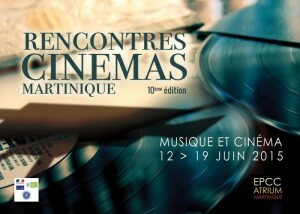 For 12 days every May, the international film industry meets at Cannes at the Marché du Film (a large expo-style market where all types of films are screened and sold); at many conferences, events and networking receptions; and on the international pavilion where countries promote their film industries. Through an invitation and financial support from ttff partners L’Association Pour le Développement du Cinéma d’Art et d’Essai en Guadeloupe (The Association for the Development of Cinema in Guadeloupe, APCAG), we were able to attend and the festival to promote the ttff, T&T and the Caribbean, and also to unearth potential interest in and opportunities for Caribbean films and filmmakers. Over the course of nine days, we met with sales agents, other film festivals, film commissions and various other organisations working in the international film industry; promoted the region’s industry as well as the Caribbean Film Mart + Database (which will launch at ttff/15); and continued to expand and strengthen our international network. It was an important moment to be in Cannes—not only do the major decision-makers in the industry meet there, but there was a genuine interest in the idea of new cinematic voices from the Caribbean, telling stories shaped by our unique histories. The ttff was part of a group of representatives from various Caribbean countries—T&T, the Dominican Republic, Cuba, the Bahamas, Guadeloupe and Martinique—whose combined presence enabled us to interact with each other and learn more about the work being done in the film industries of the individual countries. Read more about the Caribbean’s presence at Cannes in our guest blog on the website of the film trade publication Screen International. Once again ttff attended the Curaçao International Film Festival Rotterdam, CIFFR, along with Anderson Edghill, a student of the UWI Film Programme, who won the bpTT-sponsored prize at the ttff/14 for best student at the Film Programme. A key component of CIFFR is the Yellow Robin Award, open to emerging Caribbean filmmakers, which this year was won by Alex Santiago from Puerto Rico, (a ttff/14 alumnus) with his film Vacas con Gafas. The award comes with a US$10,000 prize and a guaranteed screening at the prestigious International Film Festival Rotterdam (IFFR), as well as access to IFFR’s industry programme. The ttff made a well-received presentation on the ACP/EU-funded Caribbean Film Mart and Caribbean Film Database, and hosted local and guest filmmakers later that evening. 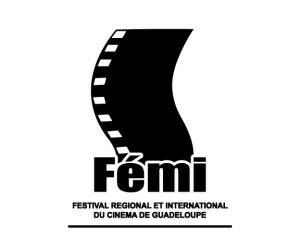 The 21st edition of the Festival Regional et International du Cinema de Guadeloupe (FEMI) took place on 13-21 March 2015, at venues across the island. A partner of the ttff for several years, FEMI took place this year with a new and dynamic organising team, a strong programme of films, interesting and valuable guests from France, the US, Montreal and the Caribbean, and a four-day market (MIFTC) full of information for filmmakers from the Antilles-Guyane (Martinique, Guadeloupe and French Guiana). We presented two ttff/14 selections: the short narrative film Dubois, and the 2014 Opening Night film Pan! Our Musical Odyssey, both of which were very well received. We also did a presentation to filmmakers, industry and others (mainly from the French Antilles) on the ACP/EU-funded Caribbean Film Mart + Database. We watched films, connected to the Francophone filmmakers and the French industry, and continued to establish our position as the premiere Caribbean film festival. Many meaningful connections and collaborations were made at FEMI, the fruit of which we will continue to see going forward. 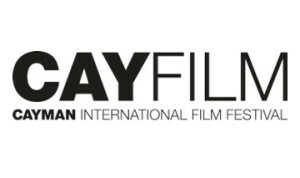 For the second year in a row, ttff participated in the Guadalajara International Film Festival (FICG), as we seek to reinforce ties with the Latin American film industry and source Latin American sales agents and producers to attend the first Caribbean Film Mart, which will be launched at the ttff 2015. Guadalajara hosts a range of activities including DocuLab, a Co-production project market, Films4Climate, a Talent Campus and Rough Cut screenings. The FICG organisation is keen to invite Caribbean filmmakers into their fraternity and to expand their reach not only into the hispanophile islands but also the English, French and Dutch Caribbean. International Film Festival Rotterdam (IFFR) offers a high quality line-up of fiction and documentary feature films, short films and media art. IFFR actively supports new and adventurous filmmaking talent through its co-production market CineMart, its Hubert Bals Fund, the Rotterdam Lab and other industry activities. 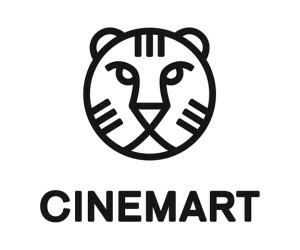 The first co-production market of its kind, CineMart offers filmmakers the opportunity to launch their ideas to the international film industry and to find the right connections to get their projects financed. The CineMart staff also organises the Rotterdam Lab, a five-day training workshop for young and emerging producers designed to build up their international network and their experience at an international festival and market. The Rotterdam Lab is organised by CineMart in collaboration with various partner organisations involved in the training of young producers as well as funding bodies. The trinidad+tobago film festival is one of the newest partners for the Rotterdam Lab. The Berlin International Film Festival (Berlinale) is one of the largest and most prestigious film festivals in the world. The festival attracts more than 300,000 visitors a year to the city of Berlin, and screens up to 400 films from all over the world, across all genres. This year, the ttff was hosted in Berlin by the World Cinema Fund, a federally funded programme that works to develop and support cinema in regions with a weak film infrastructure, while fostering cultural diversity in German cinema. 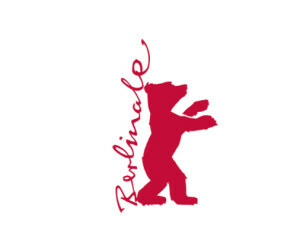 The ttff’s main activities at the 65th annual Berlinale centered around the European Film Market, where the world’s most experienced producers, film financiers, distributors, funding bodies and sales agents gather annually. We met with targeted people who have exhibited an interest in Caribbean and developing film – these meetings were crucial steps towards the development and September 2015 launch of our Caribbean Film Mart + Database. Officially known as the International Festival of New Latin American Cinema, the Havana Film Festival (HFF) in Cuba is the oldest film festival in the region. For the third year in a row, the ttff attended the HFF to present Caribbean Calling, a showcase of Caribbean films. The showcase comprised four feature-length and five short documentary and narrative films, all of which were selections at the ttff/14. The films represented a cross-section of the non-Spanish speaking Caribbean, and a number of them were ttff/14 prizewinners. In addition to a ttff representative attending the HFF, a number of the filmmakers with work in Caribbean Calling were in Havana to introduce their films and engage in Q&A sessions after the screenings, as well as network with members of the international film industry. As the world’s largest public film festival, one that is attended by many key people in the international film festival industry, the Toronto International Film Festival (TIFF) is a major event on the international film festival calendar. Additionally, as an English-language festival in one of the main cities of the Caribbean diaspora, TIFF is an especially important festival for the regional film industry. This year the ttff attended TIFF from September 4 to 9 (the festival ran until September 14). Our objectives included: raising awareness about the ttff (and the Caribbean film industry in general); raising awareness about and seeking partners for the 2015 Caribbean Film Mart; seeking content for ttff/15 and meeting potential ttff/15 guest filmmakers. This year, for the first time, the ttff was represented at the Rencontres Cinemas Martinique, which held its ninth edition recently in Fort-de-France. Rencontres invited the ttff to present a feature and a short film during the weeklong festival, which this year focused on Cuban cinema. There were two successful screenings each of the short After Mas (Karen Martinez, 2013, T&T), and the feature-length documentary No Bois Man No Fraid (Christopher Laird, 2013, T&T). We also made a presentation on our Festival and the ACP/EU-funded Online Database and Caribbean Film Mart—which will be held at ttff/15—to a group of young film students and filmmakers. We feel it is vital to continue to forge links and partnerships with other regional festivals as a way to increase the exchange of information and ways we can all work together to support the regional film industry. Founded in 1946, Cannes, in the south of France, is the world’s most prestigious film festival. In addition to hosting the annual premiere of the latest works by some of the greatest filmmakers, it is also home to the world’s largest film marketplace, the Marché du Film. In the International Village, meanwhile, dozens of countries host pavilions, where they showcase their respective film industries and promote themselves as the ideal location for shooting productions. The ttff was in attendance at Cannes this year, participating in the Marché du Film. We met with sales agents and various other industry entities, scouting films to programme at the Festival as well as highlighting the emerging Caribbean film industry. In particular we sought to promote the Caribbean Film Mart, which will take place at ttff/15 and will bring together Caribbean filmmakers and film financiers (among others) with the purpose of establishing international co-productions. The Tribeca Film Festival was founded in 2002 by Jane Rosenthal, Robert De Niro and Craig Hatkoff to provide artists with unique platforms to expand the audience for their works and to broaden the access point for consumers to experience independent film and media. The trinidad+tobago film festival attended Tribeca with an eye to viewing films for possible inclusion in the ttff/14 line up, to check out Storyscapes, Tribeca’s showcase of Transmedia artists and to represent the ttff at at Tribeca industry events. While at the festival, we also met up with representatives from the Tribeca Film Institute, who champion storytellers to be catalysts for change in their communities and around the world. The ttff will be partnering with TFI during the ttff/14 to offer unique training opportunities to Caribbean filmmakers. Once again the ttff was represented at the Curaçao International Film Festival Rotterdam, one of the newer film festival offerings in the Caribbean. Curaçao IFFR is an initiative of Fundashon Bon Intenshon and produced in cooperation with International Film Festival Rotterdam. One of the main components of Curaçao IFFR is the Yellow Robin Award. This annual award is given to a film by an emerging filmmaker from the Caribbean or Latin America. It comes with a US$10,000 prize, as well as a guaranteed screening at IFFR, and access for the filmmaker to IFFR’s various industry offerings. This year’s award went to Damian Marcano’s God Loves the Fighter (T&T), a ttff/13 world premiere. Muestra Joven is an annual event sponsored by the Cuban Institute of Cinematographic Art and Industry to stimulate awareness and reflection about the audiovisual work of young people. This year, for the first time, the ttff participated in Muestra Joven by presenting a showcase of ten Caribbean films, all previous Festival selections. This year, for the first time, the ttff participated in the Guadalajara International Film Festival (FICG), as it seeks to strengthen ties with the Latin American film industry and create opportunities for Caribbean filmmakers in this lucrative market. 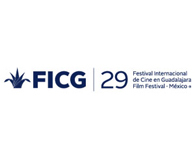 FICG is considered the premier film festival in Latin America, and serves as a rich forum for the creative exchange between professionals, filmmakers, critics, students, and audiences of Latin America. As the most important film market in Latin America, the Guadalajara Film Market is where sales agents, producers, distributors and leading film programmers come together each year seeking to negotiate and fund projects, and looking for partners and strategic alliances to increase filmmaking and film distribution. The Guadalajara Film Market & Producers Network, meanwhile, which is presented in partnership with the Producers Network – Marché du Film, Cannes Film Festival, seeks to strengthen ties between producers from different countries and encourage production and co-production. The first co-production market of its kind, CineMart offers filmmakers the opportunity to launch their ideas to the international film industry and to find the right connections to get their projects financed. The CineMart staff also organises the Rotterdam Lab, a five-day training workshop for young and emerging producers designed to build up their international network and their experience at an international festival and market. Participation in the Rotterdam Lab provides young producers with the confidence and skills to navigate the festival circuit and meet the professionals who can help finance their projects. The Rotterdam Lab is organised by CineMart in collaboration with various partner organisations involved in the training of young producers as well as funding bodies. The trinidad+tobago film festival is one of the newest partners for the Rotterdam Lab. The 36th International Short Film Festival and Market, Clermont-Ferrand, France, is the world’s leading film festival dedicated to short films. It is the second largest film festival in France, after Cannes, in terms of audience and professional attendance, boasting over 100,000 attendees annually. 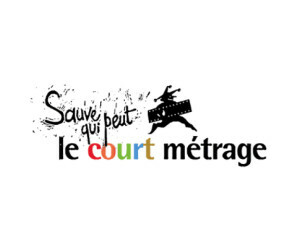 The ttff has been invited to send a representative and eight films to the festival to be showcased at a Caribbean film booth in the marketplace with our partner APCAG, the Association for the Development of Cinema and Art, from Guadeloupe. The marketplace will host international film and media promotion bodies, short-film agencies, production and distribution companies and networks, associations and technical industries to promote business, present catalogues and form working relationships whilst preparing new projects. The Berlin International Film Festival (Berlinale) is one of the largest and most prestigious film festivals in the world. The festival attracts more than 300,000 visitors a year to the city of Berlin, and screens up to 400 films from all over the world, across all genres. cinema in regions with a weak film infrastructure, while fostering cultural diversity in German cinema. The ttff is a partner festival of the Regional and International Film Festival of Guadeloupe (FEMI). This year the ttff will present three films at FEMI: Melaza (Carlos Lechuga, Cuba, 2012), Forward Ever: The Killing of a Revolution (Bruce Paddington, T+T, 2013) and After Mas (Karen Martinez, T+T/UK, 2013). This edition of FEMI, the 18th, will focus on the cinema of Africa. The festival will screen over 60 shorts, feature films and documentaries, with 28 of these films playing in competition. FEMI will also host a film marketplace and over 40 leading international film professionals will be present. The festival will be held throughout Guadeloupe’s 14 municipalities.